Because you have earned it, Northgate Academy gives you full academic credit for courses that you have completed at an accredited public or private school. To receive transfer credit, an official transcript from an accredited high school must be submitted to Northgate Academy for evaluation. Transfer credit will be awarded for comparable high school subjects when credit has been earned. 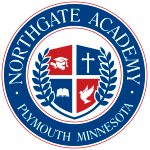 Since high school programs vary from State to State, Northgate Academy will need to complete a transcript evaluation to determine the actual number of transfer credits that can be awarded toward graduation. Northgate Academy can transfer up to 75% of the required credits toward high school graduation. *NGA accepts credits earned from recognized, US accredited high schools and qualified homeschools. *Do not forward official transcripts until you are enrolled as a student. Click Here to Enroll. Northgate Academy will transfer credits from other accredited high schools, and from qualified homeschool organizations. If you have specific questions regarding credit transfer policies, please call the school office at 1-800-339-7132.